The passion fruit vine strangling the Japanese maple tree (see Mystery Flower) is a short distance from my house. The other day, the normal, green hue of the bushy vine was dotted with orange. 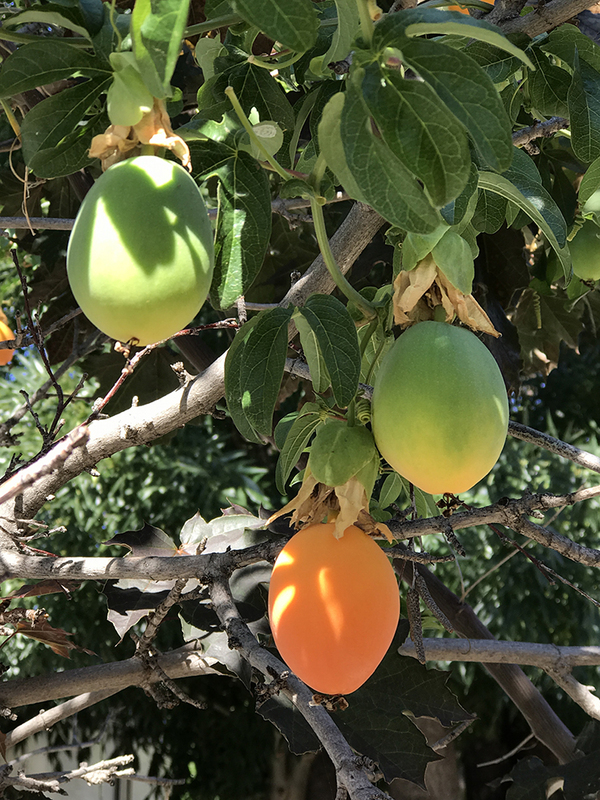 On closer inspection, I saw that some of the fruit that had been green, were now orange. Here are a couple of ripe ones. The curlicues are seeking something to grab, perhaps a branch of the Japanese maple. 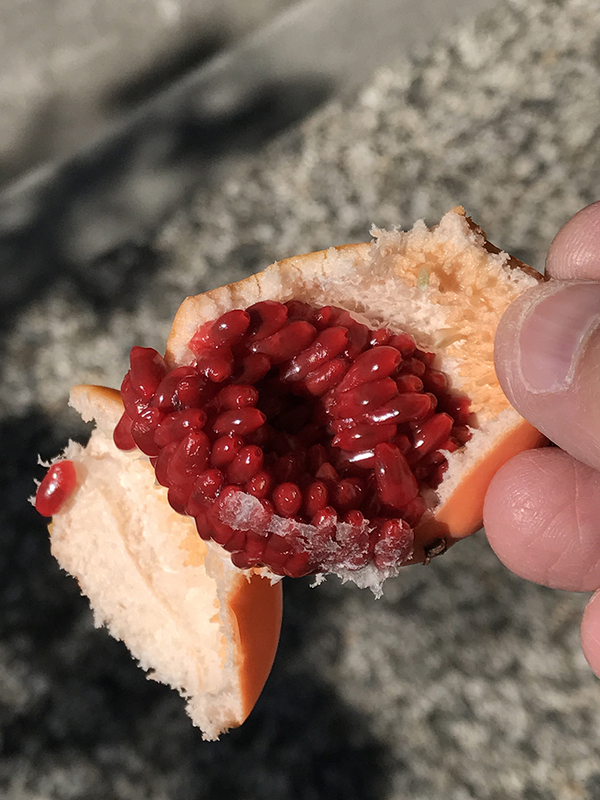 I was expecting the fruit to be a tough-skinned solid, but it was surprisingly soft. It broke apart and I found this inside. I’ve never seen anything like it. Ain’t nature grand? 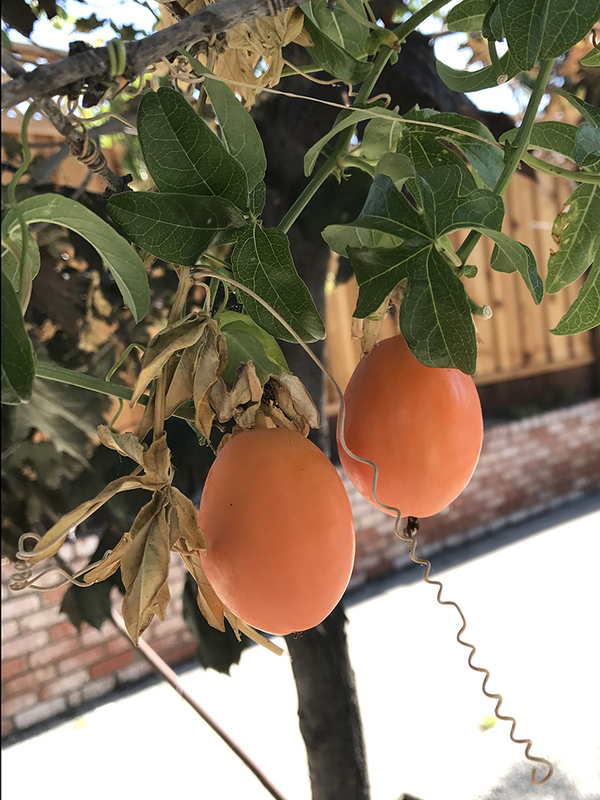 This entry was posted in Personal Stories and tagged artistic process, creativity, nature, observation from nature, passion fruit, photography, ripening, street photography, visual arts. Bookmark the permalink.